Enjoy fantastic atmosphere of hand-painted lanterns' illumination! 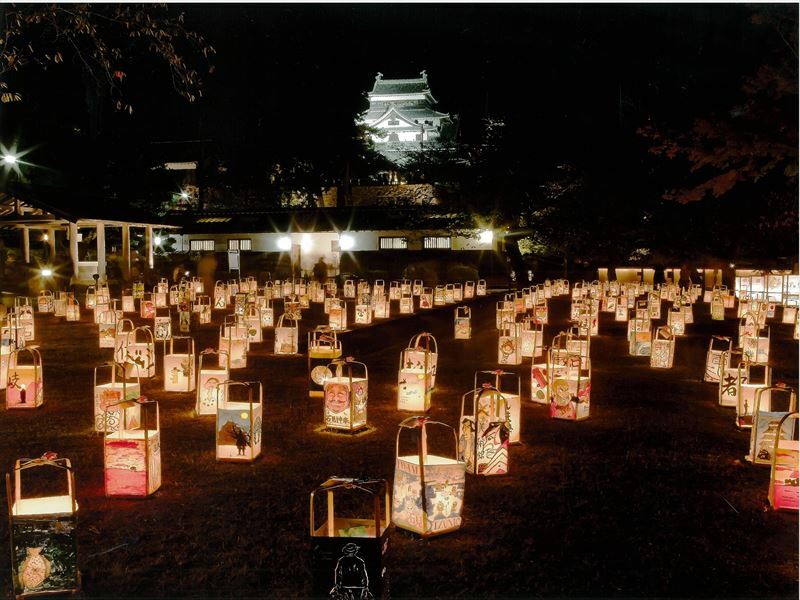 Matsue Suitoro(Water Lantern Festival) is one of the most famous events in Shimane prefecture that takes place at Matsue castle ground. Matsue city is known as water city and Matsue castle is designated as National treasure. Hundreds of lanterns with decoration are lit up and line up which shows us a magical view . Main events is held Saturdays, Sundays and national holiday starting from Sep22. During this period,night cruise of Horikawa pleasure boat is available and it is one of the best highlight of the events.